Sixth in a series. Every seven days we look at some of the best new app releases for Windows 8. This week's releases include Amazon and Nascar official applications, as well as a selection of mostly media-orientated offerings. Microsoft has added a top-paid category to select localized stores that displays top-rated paid applications. It is likely that this will be rolled out eventually to all stores. It is the shopping season of the year. 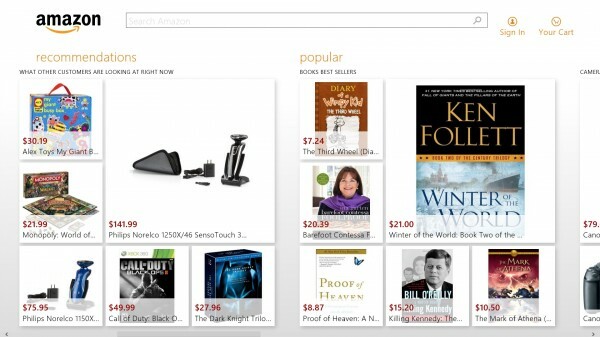 Amazon has released the official app for Windows 8 that you can use to browse the company's online store. You can sign in with your Amazon account right in the app, or browse without doing so. The application features a search option that is always visible at the top, and a list of recommendations and popular items on the start page. Product pages are displayed as overlays on the screen and you are presented with the same level of information that you get when you shop on the Amazon website. The biggest issue, however, is the fact that you can't browse categories using the app. The only option to find items that are not displayed on the start page is to use the search, or click through to the Amazon website. 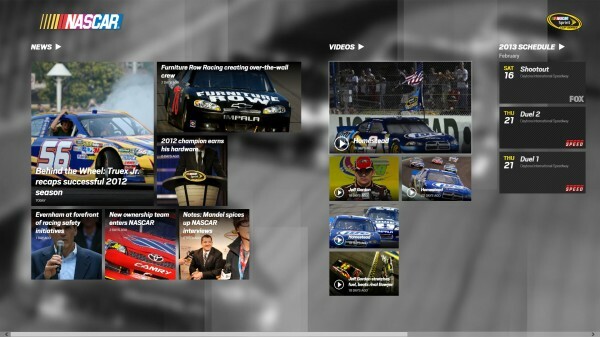 The official Nascar stock car racing application has made it into Windows Store, featuring news, videos and the racing schedule. It is a bit awkward that the app got released at this time of year, considering that the racing season has ended. Still, the news and videos may keep you entertained. What's interesting here is that these videos do not appear to be country-locked, and that they play in full screen. This one is for European users only. 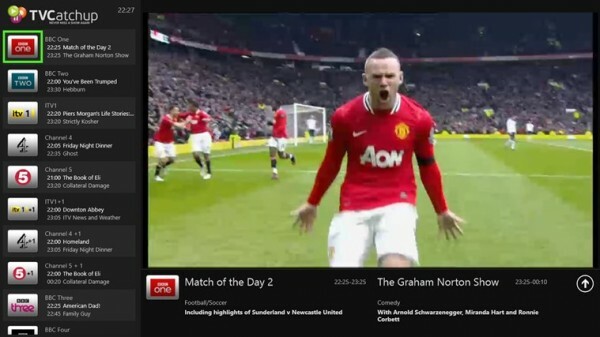 Zattoo is a live TV streaming service in select European countries like Germany, Switzerland or United Kingdom. 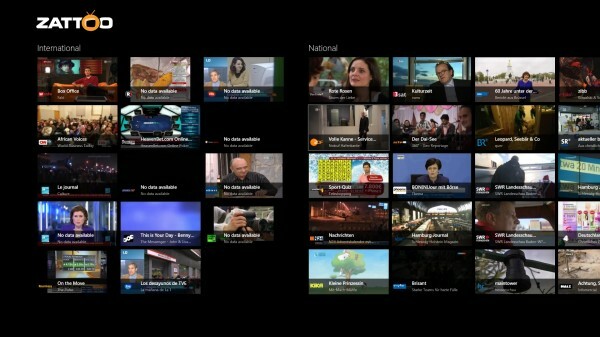 You can watch national TV channels, and some international ones, using the Windows 8 application. Note that a free account is required to access all the stations available. While you can continue without log in, you will be presented with only three or so stations when you do. UK only. 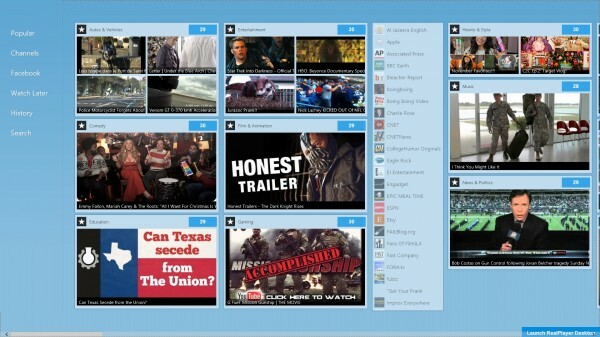 Brings over 50 live national television channels to Windows 8 systems. Channels include BBC 1 and 2, ITV1, Channel 4 and 5, and BBC News, basically the same list of channels that you get on the website of the service. The app makes available an interactive programming guide that you can use to find out what is coming up or airing right at the moment. SAP has a total of five apps in Windows Store at the time of writing. 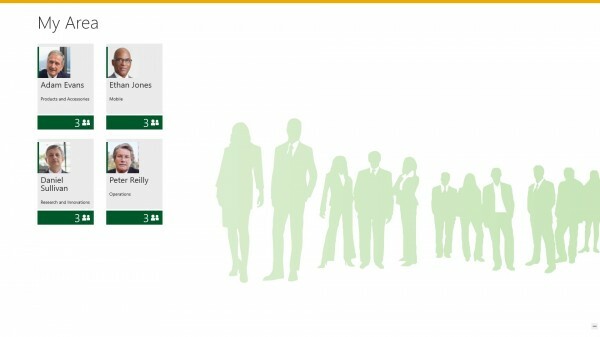 SAP Manager Insight lets you access mobile reports and employee profiles. SAP ERP for mobile services needs to be enabled to use the application. It is a human resources application for company management that can be used to look up information, capabilities and qualifications. There are a couple of Craigslist apps available for Windows 8, none of them official by the way. Craigslist+ has received the best overall ratings so far. Once you have picked a location, or let the app detect yours automatically, you are presented with a selection of categories that you can browse. A list of available items is then retrieved from Craigslist's database and displayed on screen. 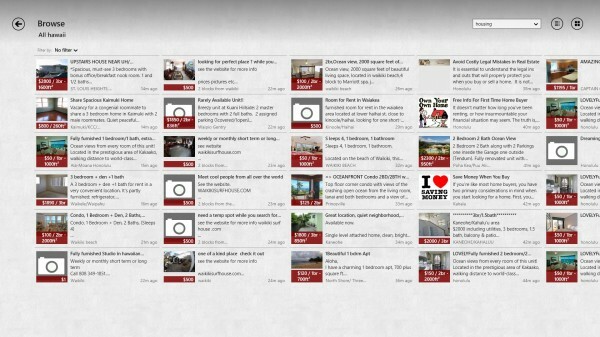 Here you find item thumbnails, prices, descriptions and locations where the items are available. You can click on items for a detailed view with additional information and seller contact information. A search is available as well to find specific items faster. Costs $2.49. Probably the first Windows 8 application that can play mkv video files. It not only supports mkv files but also H.264. Note that the app does not support DTS audio tracks in mkv files currently, but that the developers promise that this will be added in one of the next updates. You can also use it to play music or play YouTube videos in the interface. Windows RT users may want to give this a try if they need to play mkv files on their system. I suggest you use the trial first to see if it can play your video files before you buy. A video application that provides you with access to a selection of videos from popular channels and websites, such as BBC Earth, Boing Boing, Associated Press or Reddit. You can use the left navigation to browse the channels listing or popular section, or use the built-in search to find videos of interest. If you are running the Steam gaming software on your Windows 8 system you may be interested in adding game shortcuts to the Windows Start screen to quickly launch the games from there. 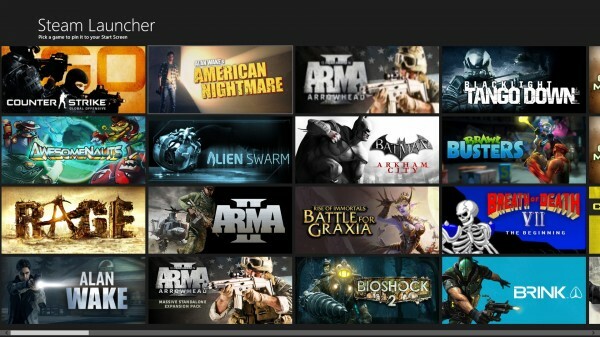 Steam Launcher is a free app that displays all games available in a user's Steam account. You can then pick the games that you want to add as shortcuts to the start screen. Note that the app does not make a distinction between games that are installed and those that are not. If you are interested in celebrity news and gossip, TMZ may deliver exactly what you are looking for. 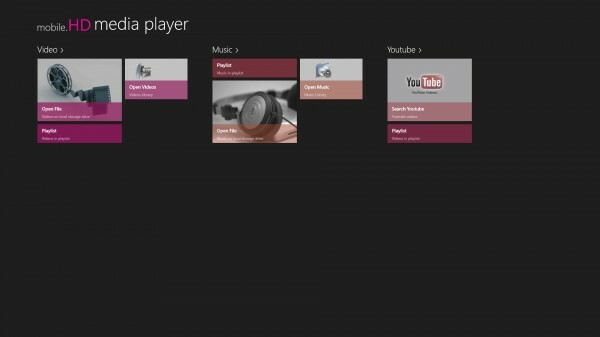 The official application for Windows 8 brings news and videos to the operating system. The news appear to be accessible by anyone, while the videos appear to be country locked as I could not play a single video from my location. Have you found another application this week that you really like? Let us know about it in the comments please.